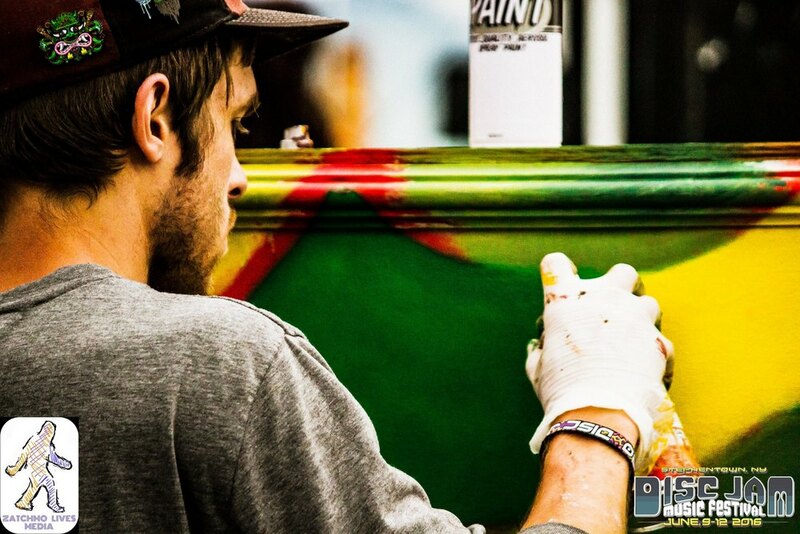 "We, as artists, need spaces like this as outlets for expression, and I felt the need to kickstart some momentum by spraying some color on the walls. " My wifey Nikki holding down the booth! 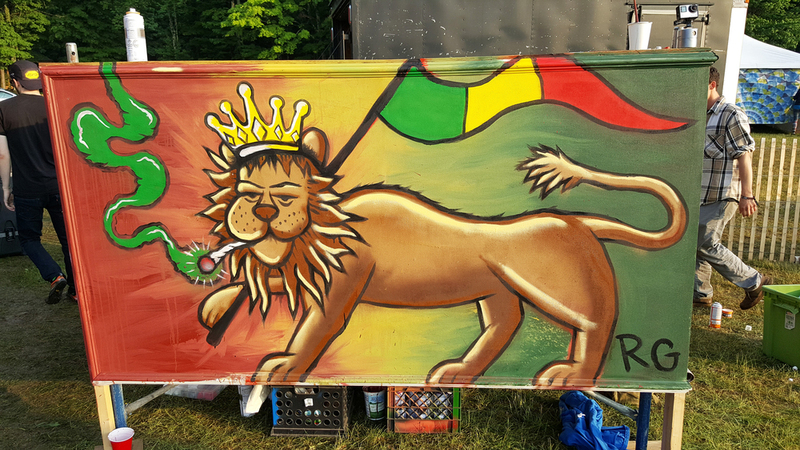 The Harvest Cup was an amazing weekend of painting, vending, sharing new art and meeting rad people. 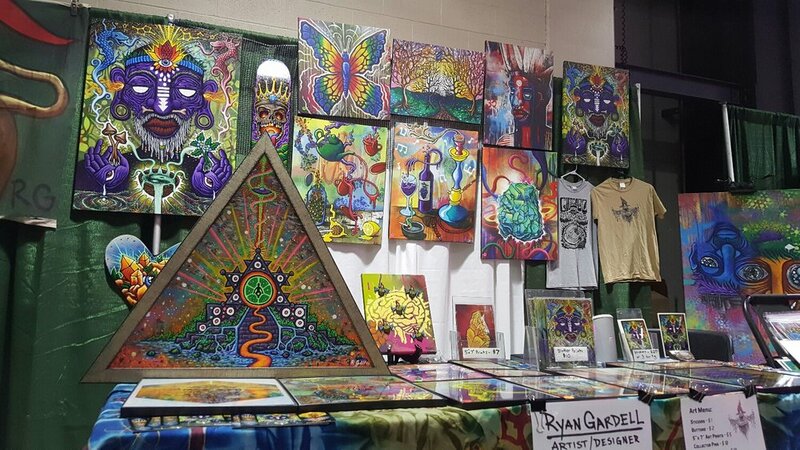 Along with fellow artists Canman (canmancreations.com) and Heilig (heiligart.com) we held down a big section at the DCU Center to showcase our live painting and display original works. 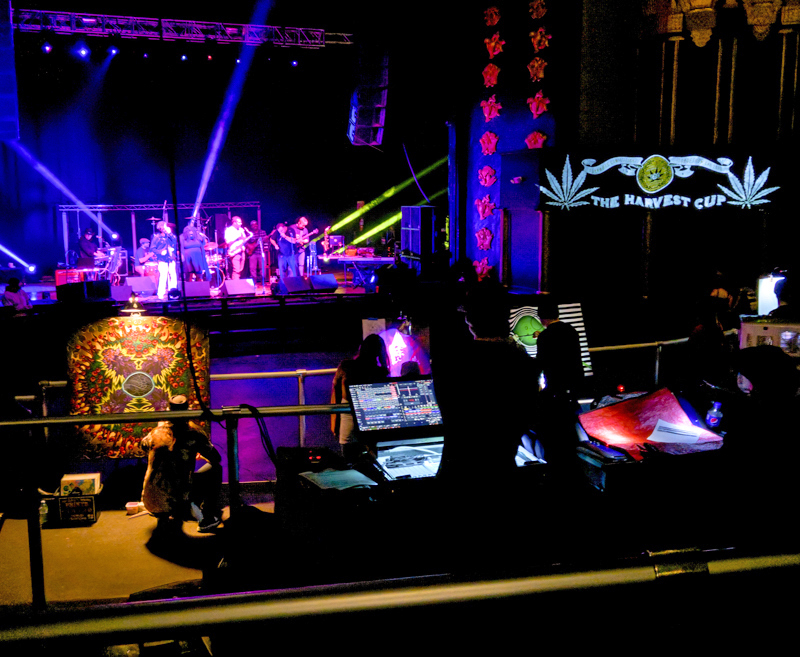 We had a great response from patrons, guests, organizers, and vendors alike, helping to strengthen our connection as the visual art wizards amongst the New England cannabis community. 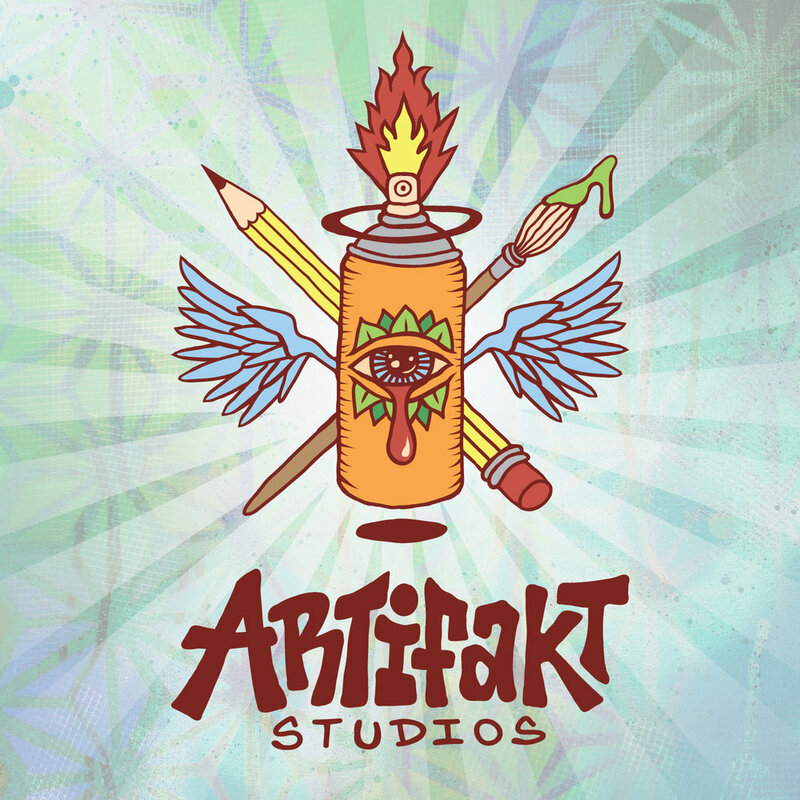 As our first official booth under Artifakt Studios, we released a bunch of new merchandise, including hat pins, t-shirts, mood mats, laser cuts, our 3D sign, as well as a few new prints and originals. To see these products out in the wild, interacted with and collected by people, was very enjoyable. It allows for feedback, to see what resonates with people the most, so we can continue to improve our creative offerings in 2018. I chose to create a piece from scratch this weekend, something I rarely do, but felt like I needed a new challenge. 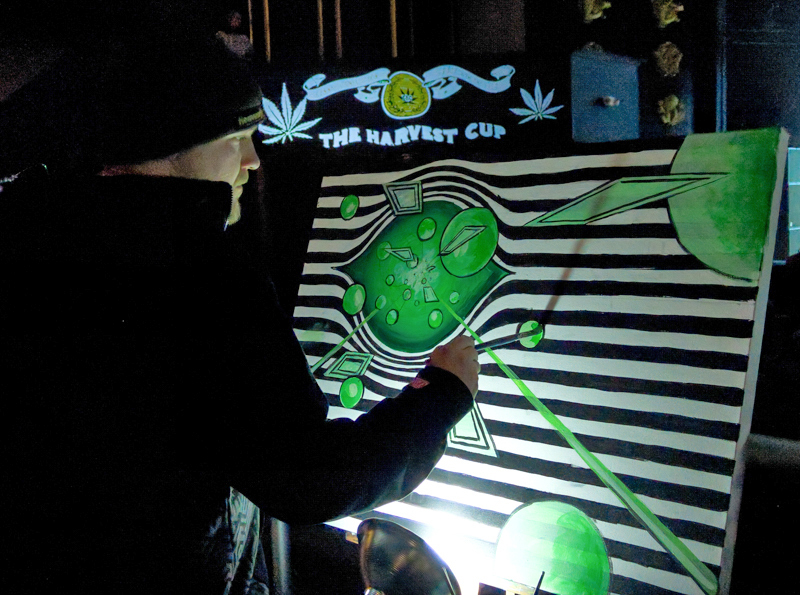 A sketch was drawn Thursday, the background was made on Friday, and the character was painted Saturday & Sunday during the Cup, and also Saturday night during the Palladium afterparty, joined by Canman, Heilig and Kai Grizzwald. Sets by William Thompson Funk Experiment, DJ Logic and Kong! really blew the doors off the building and had our brushes moving non-stop. 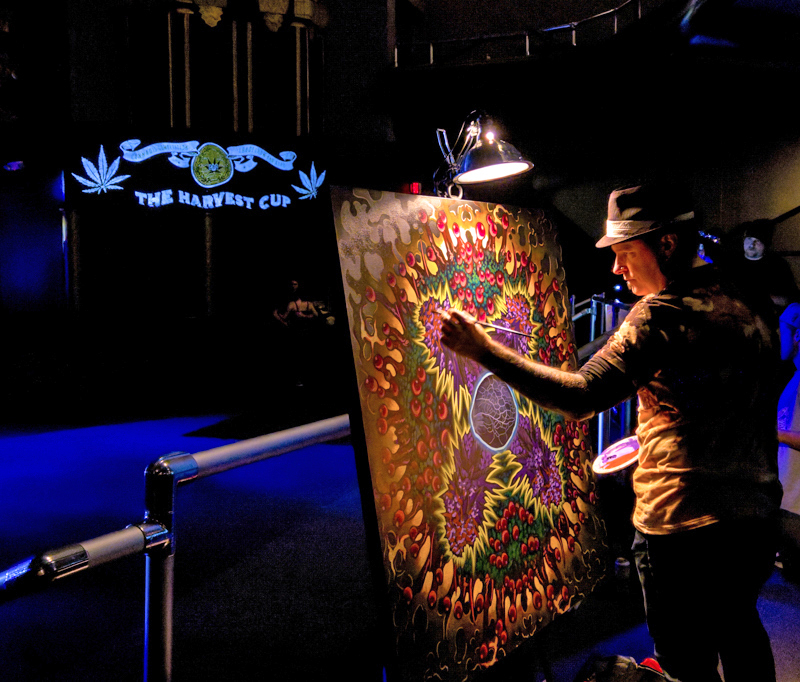 What a surreal night it was, to be live painting again at the first gig I ever painted at in 2013 and first met Canman, several epic Disc Jam New Years Eve parties, where I saw my first concert at age 12, to once again be standing here enjoying art & entertainment in a legalized cannabis celebration spent with a few of my favorite artists. Before the end of Saturday night, the "Stoned Gnome" had already found a home. 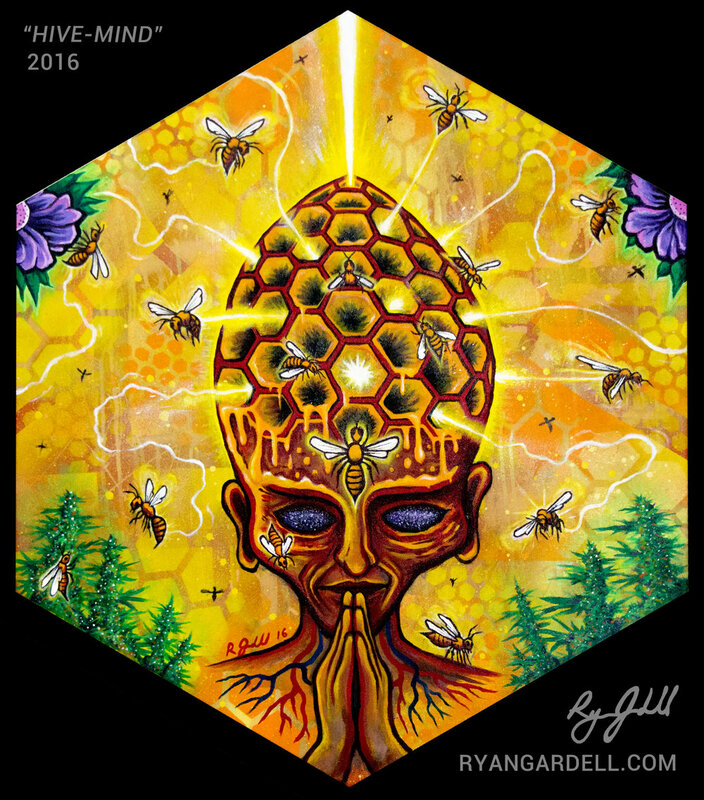 "Stoned Gnome", acrylic, spray paint and marker on canvas, by Ryan Gardell. After 11 months and roughly 70 hours of work, this piece is finally complete. 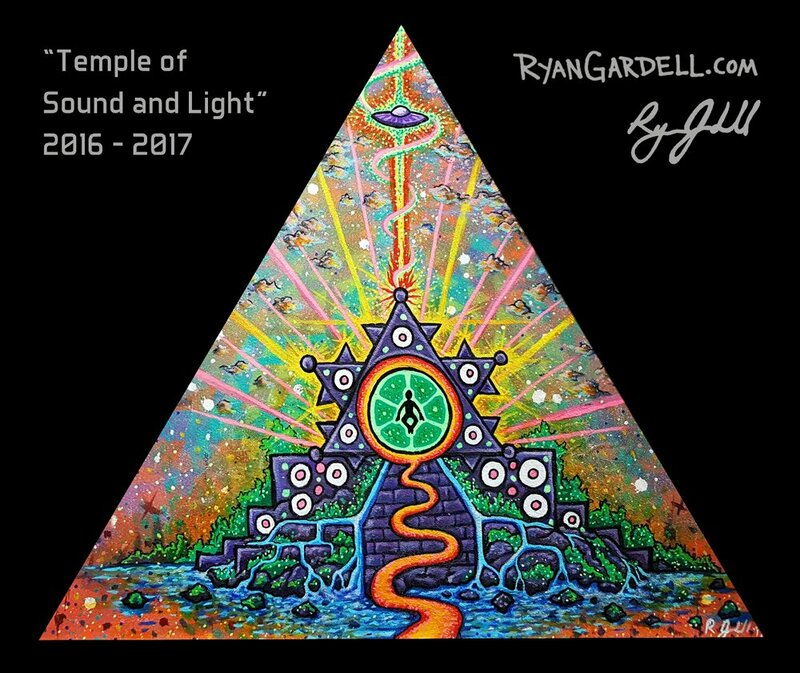 It was started at the Chapel of Sacred Mirrors, an artist retreat center in Wappinger Falls, New York. 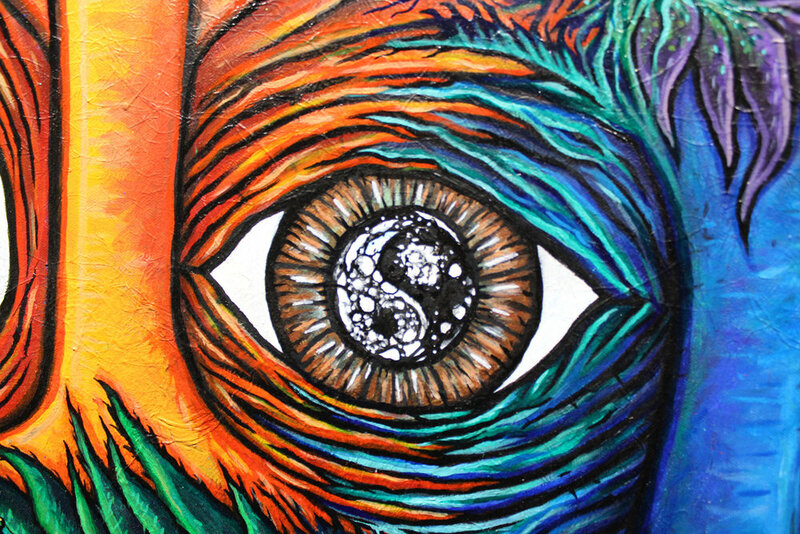 The skateboard painting workshop was taught by Chris Dyer, an accomplished visionary artist based out of Montreal, CA. The piece was completed at my studio in Worcester, MA, and will now be exhibited in several shows throughout the year. The amount of planning, research, sketching, re-sketching, painting and re-painting that went into this piece was very extensive. 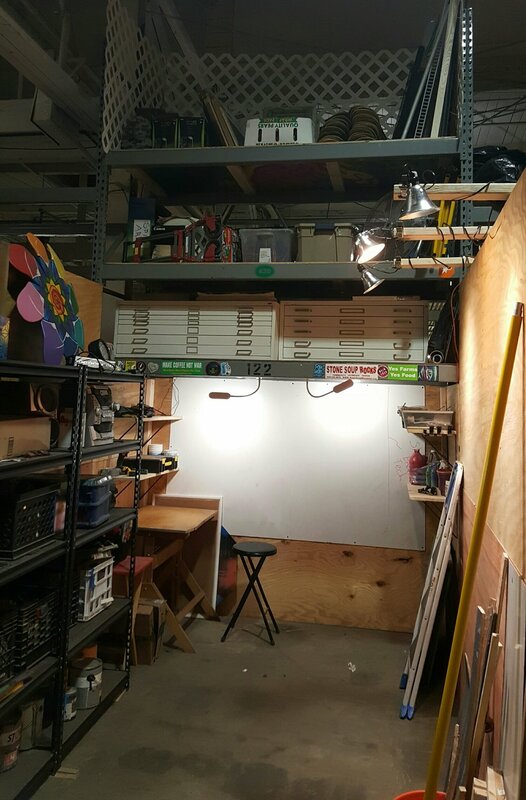 From start to finish this project was met with heavy attention to detail. Its rare for me to paint a piece entirely in one medium, in this case acrylics. Usually my approach is mixed media, this was a challenge in the sense that it was more of a purist approach. The Tempest has many hidden concepts and interpretations. 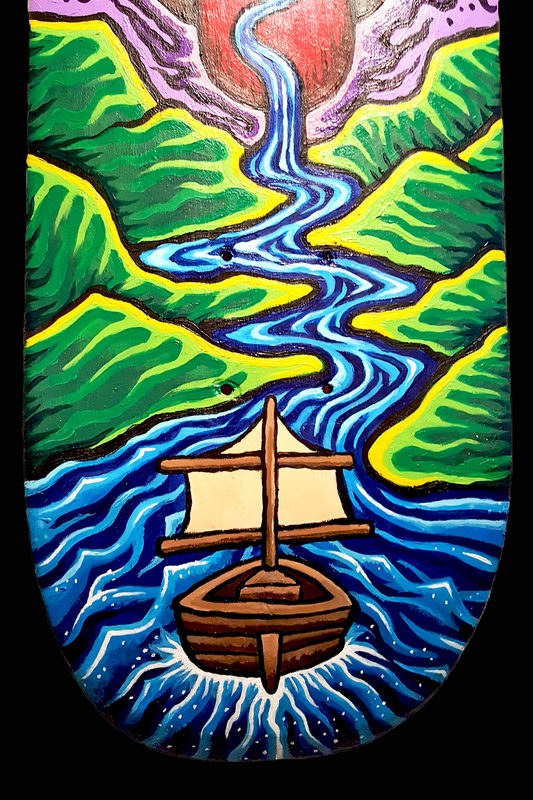 The small boat, which glides along the river, symbolizes a person, the viewer, on their personal path of life. The hovering, intimidating skull, is an apparition, an illusion, representing the obstacles of fear, danger and death, that become present along the path. The crown of the skull, sitting tall and out of reach, stands for the pursuit of wealth, fame and power, a desire that is met with extreme risk. The castle, guarded by the crown, is a metaphor for the walls we build around ourselves, the boundaries between the establishment and the people, the fortress of solitude standing dark and lonely. A large storm is brewing above the castle, striking it with lighting, causing the appearance of this demon spirit to emerge. The spirit itself may be a source of dark magic, used to deceive the small traveling ship and lure it astray from its journey, into the abyss. Beyond the mouth of this demon, lies the sunrise, the dawning of new life, a reward for overcoming the menacing allure of The Tempest. Summer is approaching fast and planning of festivities has begun. 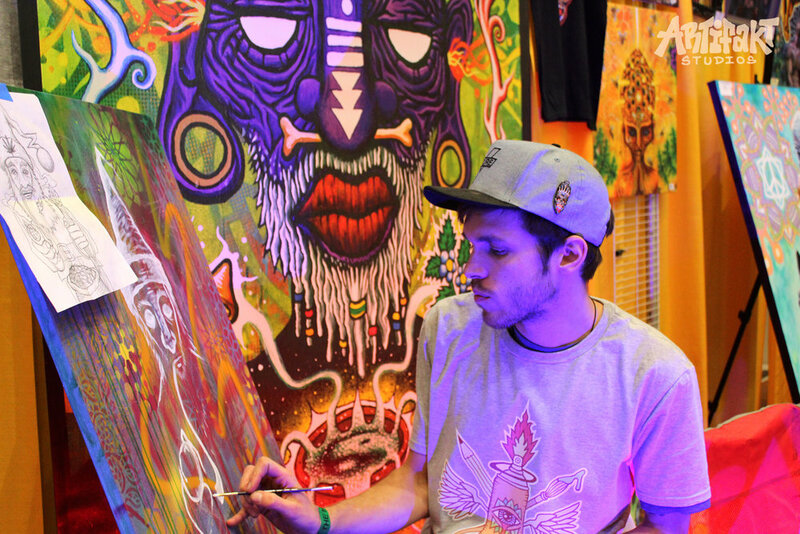 This year I'll be live painting, exhibiting artwork and creating deco for several events and music festivals. 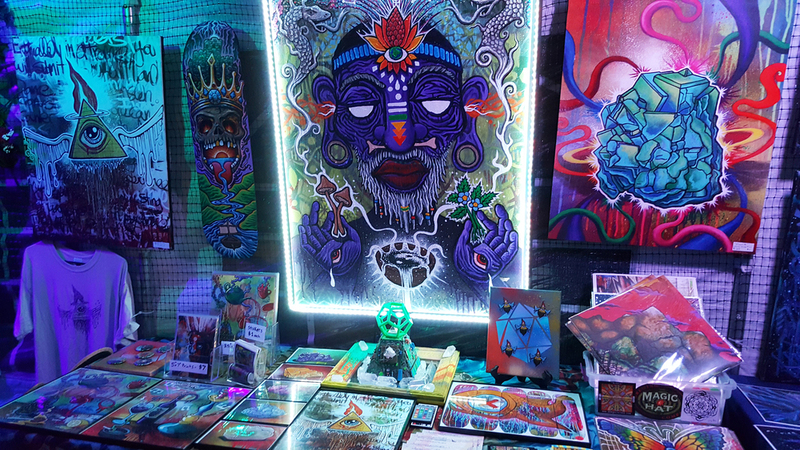 Catch me at one of these dates, come say hi, check out some art, and maybe even take some home with you ;) Until then I'll be working to create new pieces to share with you, and collaborating with other artists and event planners to visually enhance your experience of these events. 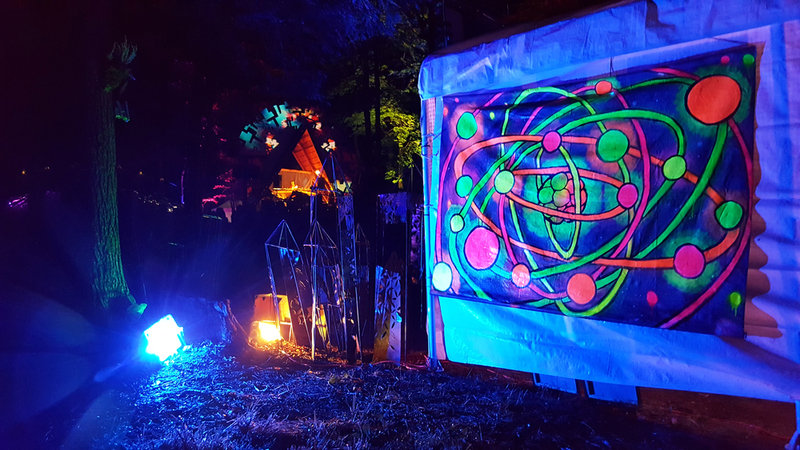 My goal this year is to create large scale decorations/murals/blacklight artwork, create some interactive pieces, teach a few workshops and have a lot of fun. Hope you can make it.